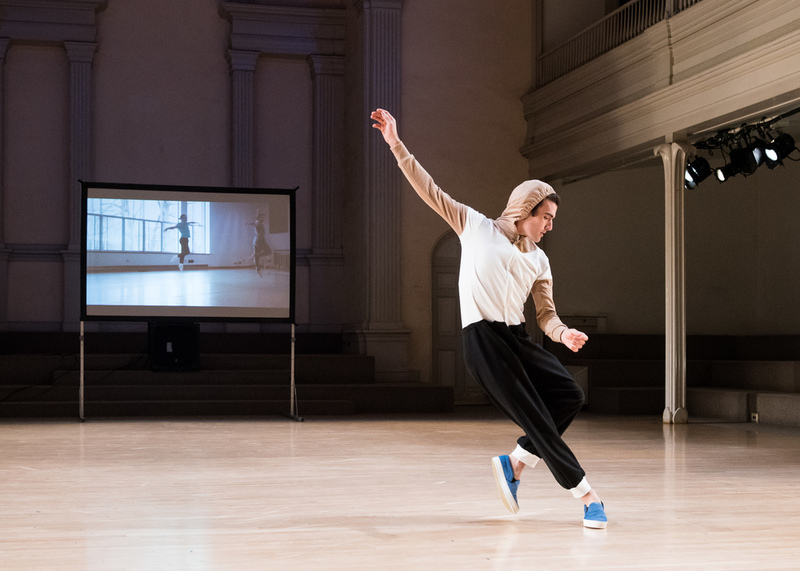 In 2014 six pairs of artists were asked by PLATFORM 2015 curator Claudia La Rocco to participate in choreographic exchanges based on Edwin Denby's "three nodal points of Balanchine, Cunningham and Judson Dance Theater." Dance Dialogues are unique evenings of live movement exchanges, choreographic studies, and playful performance explorations. Silas Riener worked with Adrian Danchig-Waring, a principal dancer at New York City Ballet. Due to Danchig-Waring's NYCB schedule he did not perform live but his choreographic ideas and exchanges with Riener were presented as part of the evening. Rashaun Mitchell worked with Sara Mearns, a principal dancer with New York City Ballet, and performed a new work with her. He also collaborated and danced with Jodi Melnick, a choreographer and former dancer in the work of Trisha Brown, John Jasperse, and Twyla Tharp.